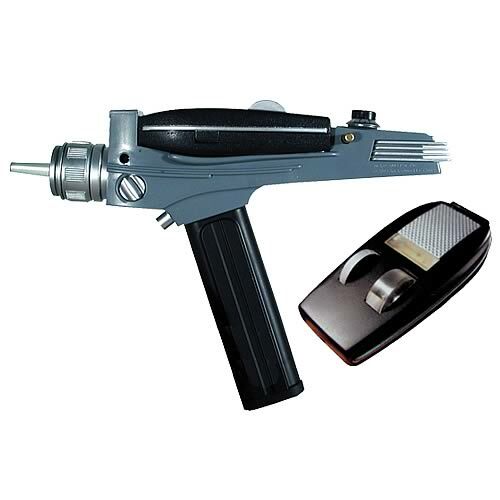 In addition to the Gold Handle Type 2 Classic Phaser and the White Handle Type 2 Classic Phaser from the original series of Star Trek, Diamond Select have also produced TOS Black Handle Classic Phaser. 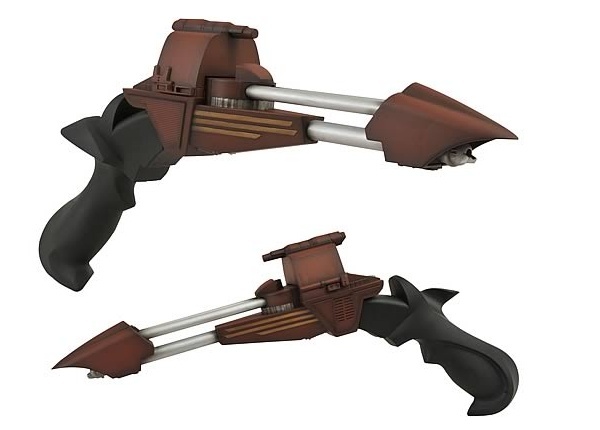 This is the original Star Trek 2-in-1 classic phaser design that includes a detachable Type-1 mini-hand phaser (pictured detached in the above image). Released by Diamond Select under an official Star Trek license. For maximum authenticity it’s a full-scale reproduction modeled after the initial Star Trek prop. Features realistic beam lights, sound effects, and adjustable power settings. If you’re keen to lay your hands on a STAR TREK VI Klingon Beak Nose Disruptor you’ve probably found it pretty hard to do. 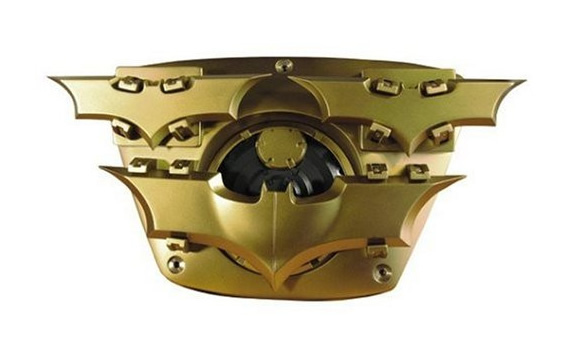 Roddenberry’s Klingon Beak Nose Disruptor is now sold out from most sources, though Secret Compass Collectibles still have one in stock (as at the timing of this post) for a price of $279.95 (not bad, considering the original price was $299). But if a little less expenditure is your thing, say in the area of $50 or so, you might want to check out Diamond Select’s new Klingon Beak Nose Disruptor. Sure, it’s not a hand painted resin prop replica like Roddenberry’s version, but it is still pretty cool looking. It’s also 1:1 scale and designed for role play which, to be fair, you wouldn’t want to do with Roddenberry’s Disruptor. It also has electronic sounds and lights to go with the role play experience. You can pre-order these right now. Back in 2003 Diamond Select and Industrial Zoo released 2,500 Limited Edition life sized prop replica’s of Wolverine’s claws attached to a skeleton forearm. The claws and skeleton parts, measuring over 2 feet, were made of real metal, came fully assembled and painted, and were featured inside a neat clear plexi-glass tube display case. The original piece also came in a styrofoam packing box together with an officially licensed Certificate of Authenticity. It’s a pretty cool item and typically these are a rare find since they sold out many years ago, but right now there’s actually a handful of them going for auction on Ebay.